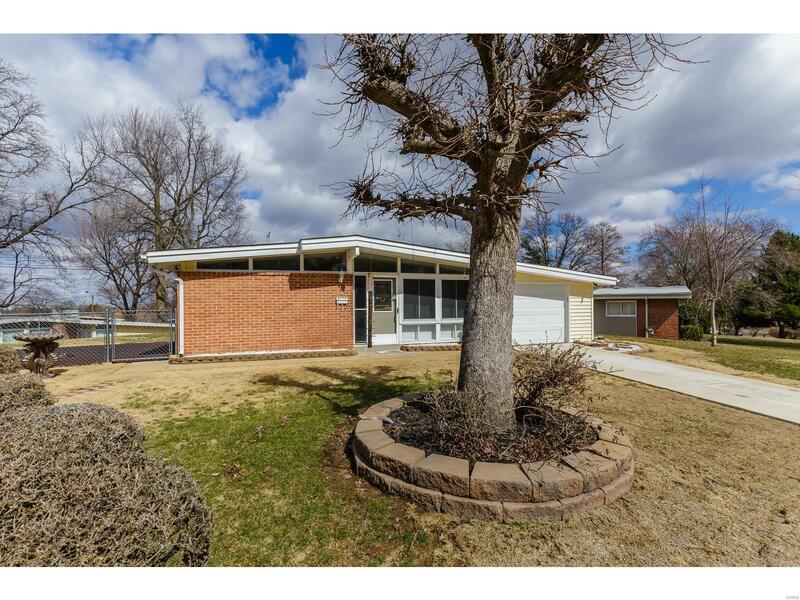 6 Holly Lane Florissant, MO. | MLS# 19016291 | Homes for Sale in St Charles, St Louis, Lincoln and Warren Counties! Looking for a Free Foreclosure List? Call Cheri Peterson 314-283-7251 Our Team is on the Leading Edge when it comes to Technology! Tucked in a Culdesac with Every Room on one Level. Clean Bright Fresh & Updated! MOVE IN NOW! That's right no climbing stairs here. Vaulted OPEN Floor Plan w/3 Bedrooms. Newer Front door. New Carpet 2019, Wheelchair access thru Sliding glass door either from the 3rd Bedroom or in thru the Dining Area. Vinyl Siding, Enclosed Soffits & Fascia, Newer Roof w/25 Year shingle, Newer Driveway & Level Fenced Yard w/Spacious Patio Area. Newer Windows, Newer Kitchen w/Smooth Top Stove, Decorative Backsplash, Wood Laminate Floors, Spacious Breakfast Bar w/Overhang, Built In Microwave, Refrigerator can Stay, Newer Shaker Style Cabinets, New Countertops 2019. Update Hall Bath w/Bead Board Walls, Adult Height Vanity w/Cultured Marble Top. 3rd Bedroom w/Spacious Closet & Barn Door. Garage features a Service Door, Keyless Entry & Extra Storage. Main Floor Laundry w/Newer Flooring. This Home shows Beautifully and Should be Placed on your Most Wanted List at this Price! Anything else is a COMPROMISE!